2 bedroom 2 bath home with open floor plan. Large yard that is fully fenced. Home does need work, Financing available through Movkal Foundation. 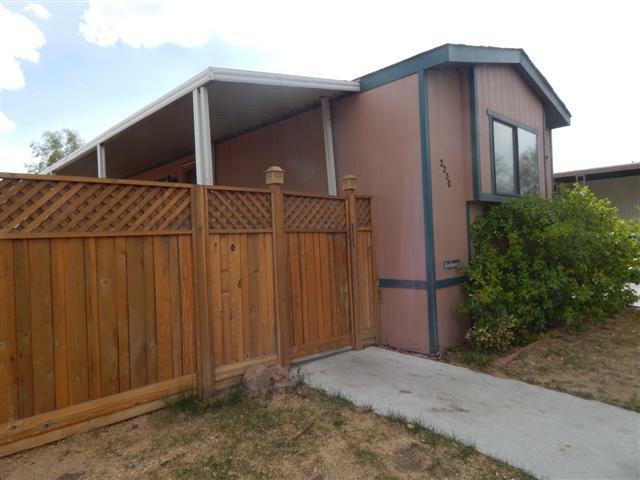 Highlands Senior Park is a mobile home community located one mile north of downtown Bishop, CA. Around the park, you will often see neighbors and friends walking dogs while admiring the surrounding mountain views. The mobile homes in this area are well kept and the neighbors are courteous. Residents have use of the clubhouse and community pool. Space rent includes water, sewer and trash.